The wealthiest Americans have an obligation to speak up when the system is unfairly rigged in our favor. Millionaires and billionaires will enjoy their private flights much more this winter season following the GOP’s tax reform plan. The recently passed tax bill will provide the biggest wins for America’s richest citizens, according to expert analysis. Some of these benefits will happen gradually or in subtle ways. Others, however, are much more obvious. One of these examples is the way the bill solidifies existing exemptions for owners and leasers of private jets. Not surprisingly, it is commercial passengers who will continue to foot the bill for the one percent’s expensive habits. This is hardly what middle-class Americans expected when the GOP promised to deliver unprecedented tax relief for working families. Republicans in Congress should have honored that pledge when they voted for tax reform and required the wealthiest few in our country to pay for their own luxury travel. Owning a private aircraft is one of the great rewards of financial success. I am fortunate enough to partly own two twin-engine turbine airplanes that I use to fly around the country. However, I can’t sympathize when I hear some of my fellow private aircraft owners complain about government regulations that affect jet-setters. Flying in a private plane is a privilege, and I am acutely aware of how lucky I am. In this context, complaining about fees and maintenance costs is absurd. Private jet owners — who have lined the pockets of politicians for years through generous donations — pay pennies compared to what commercial passengers are charged in federal taxes. For example, according to a report from the progressive think tank Institute for Policy Studies, commercial fliers pay a number of taxes and fees on their tickets, ranging from the 7.5% federal ticket tax to the $4.50 Passenger Facility Charge. Meanwhile, private and corporate jet owners only pay a $0.218 per gallon tax for jet fuel or a $0.193 per gallon tax on gasoline. Despite our shared reliance on critical resources like the Air Traffic Control (ATC) system, commercial airlines pay 95% of all taxes to the Federal Aviation Administration’s trust fund, totaling $14.85 billion of the $15 billion collected last year. Meanwhile, private and corporate jets use 15.6% of ATC resources but pay only 1.55% of all taxes into the trust fund. In effect, regular commercial fliers are subsidizing private jets to the tune of more than $1 billion a year. Consider the costs of a flight from New York to Los Angeles. A CEO in a private jet will pay a paltry $525 in fuel taxes, according to a review by Bloomberg, while commercial passengers traveling the same route would be on the hook for $3,900. That’s because the private jet is only charged the fuel tax, while the commercial flier has to pay the fuel tax, passenger fee, excise tax, and other taxes and fees. By the time both land, the private jet owner will owe 87% less in taxes for the same cross-country flight. The upshot: Private jets pay a tenth of airline taxes despite flying the same routes. Wealthy CEOs and corporations do not have a right to game the system. Some argue this is nothing new — that the bill simply brings clarity to a longstanding dispute about how private jets ought to be taxed. Indeed, the private jet industry would have you believe this bill provides much-needed relief to businesses that rely on private jet travel. But these points obfuscate the issue at hand, which is that time after time, the rich continue to enjoy their own preferential set of rules while hard-working Americans subsidize them. 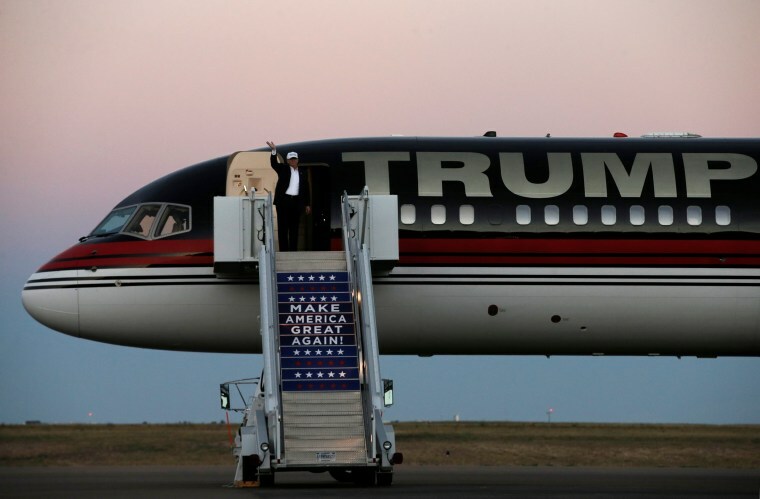 As a private jet owner and a proud member of the Patriotic Millionaires, there is simply no way to defend the disparity between the taxes paid by high-end jet owners and those paid by commercial airline passengers. This inequity makes even less sense when you consider that America’s millionaires and billionaires can easily afford their luxury travel, and should at the very least pay equivalent taxes to those who fly in coach. I strongly believe in big business and market capitalism as engines of economic growth and job creation. They are the lifeblood of American prosperity. But wealthy CEOs and corporations do not have a right to game the system, and certainly not at the expense of middle-class Americans. On the contrary, we have an obligation to speak up when the system is unfairly rigged in our favor. Millionaires do not need more private jet loopholes, and Congress should pass legislation to make the one-percent pay our fair share. Stephen Prince is founder and president of National Business Products and vice chair of Patriotic Millionaires, a coalition of high-net worth Americans concerned about the destabilizing concentration of wealth and power in the U.S.